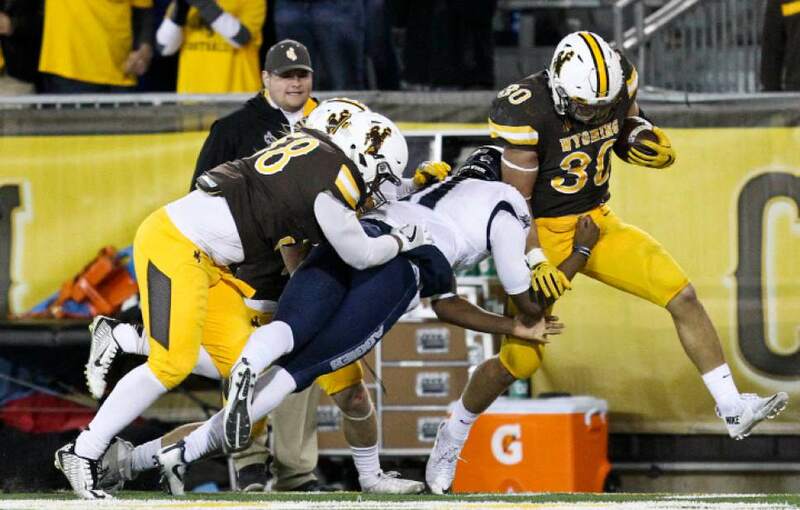 USU football • Final home game brings Lobos, who lead the nation in rushing. 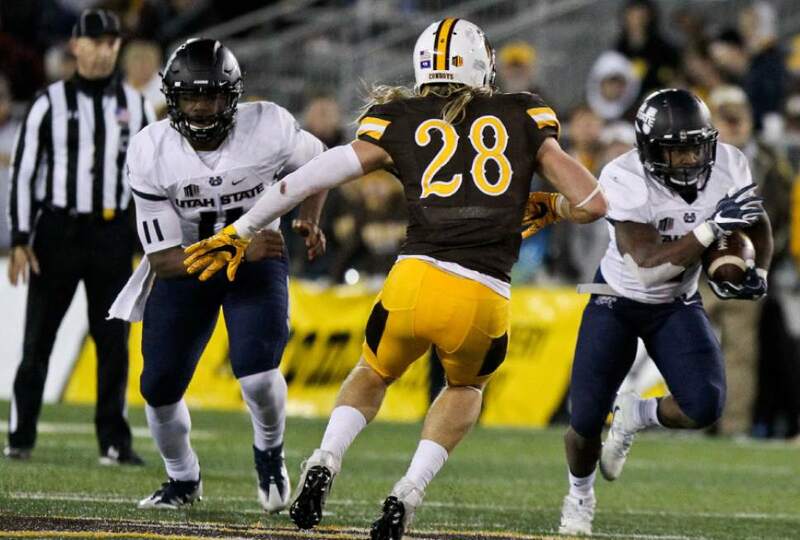 Logan • For Utah State safety Gaje Ferguson and his teammates, the Aggies&apos; final home game of the season has a hard-to-believe quality to it. 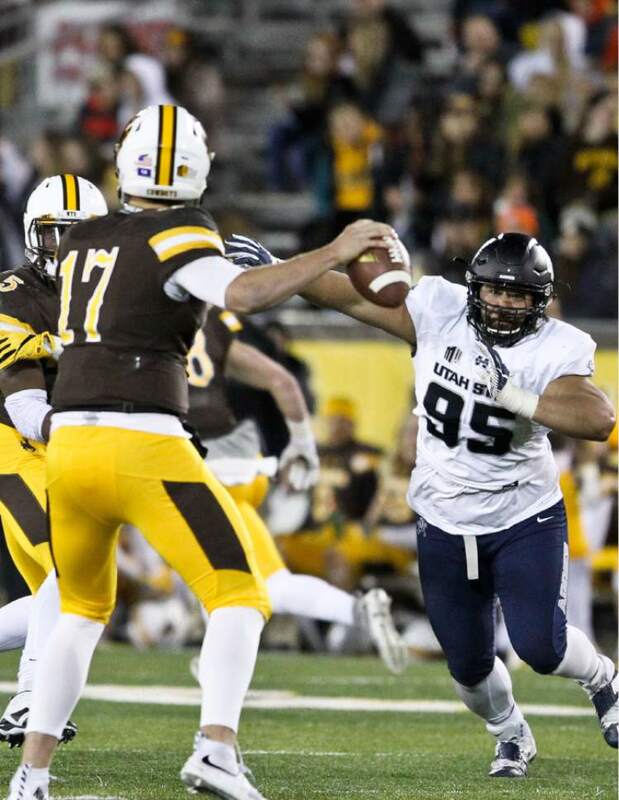 Utah State goes into its Saturday night encounter against New Mexico with a 3-6 record, including 1-5 in the Mountain West Conference. 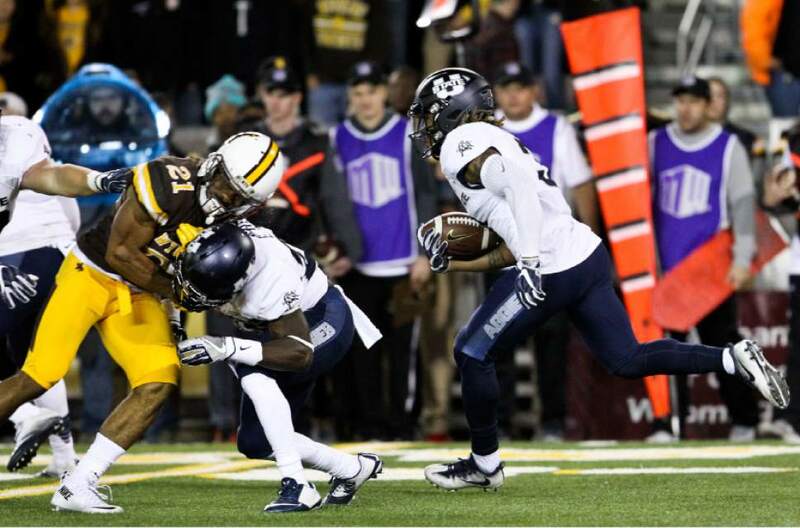 The Aggies, eliminated from the league championship race long ago, have lost five of their last six games. The only remaining goals  a .500 season and bowl-eligibility for a sixth straight season  depends on winning their final three games. "The frame of mind we need to be in, obviously, is our backs are against the wall," Ferguson said. "… We have almost nothing to lose at this point. So, we need to regroup, forget about our record, forget the way things have been going and enjoy what we have left as a brotherhood and as a team." Ferguson is a redshirt sophomore from nearby Mountain Crest High School via Snow College. 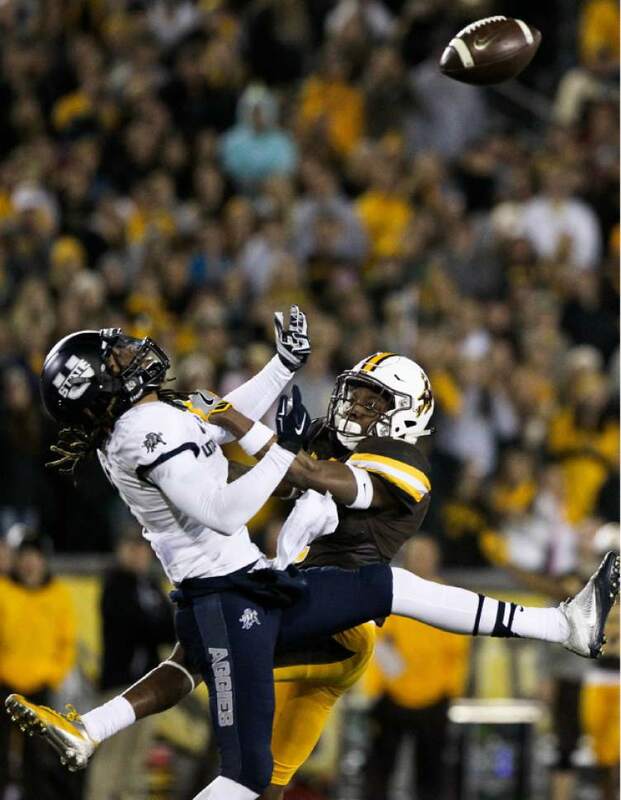 He made his first start at Utah State in last week&apos;s 52-28 loss at Wyoming, finishing with 10 tackles. "Everyone&apos;s a little bit stressed right now and trying to step up and make plays," Ferguson said. "Maybe, in the heat of the moment, they&apos;re trying to do more than their job and it ends up hurting us." The Lobos, who have won four straight games, lead the country in rushing. Their per-game average of 358.8 yards is the fourth-best in college football going back nine years. "… They&apos;ll just inch their way down the field, hope someone gets out of their assignment and a play goes for 40-50 yards," Ferguson said. "So the key emphasis is doing our jobs, being consistent, putting them in long-down situations and getting off the field." 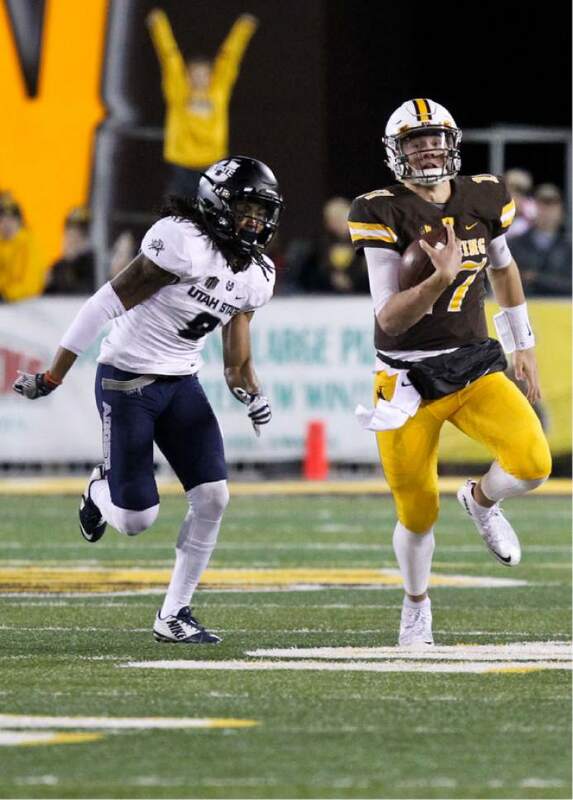 Utah State&apos;s chances probably hinge on its ability to prevent New Mexico from shortening the game with its ability to control the ball. 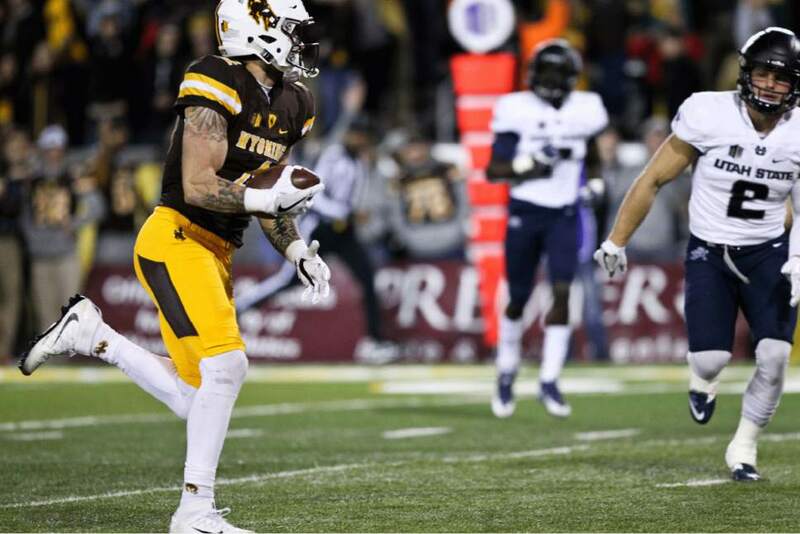 But the Aggies rank eighth in the Mountain West in rush defense after allowing a total of 667 yards in consecutive losses to San Diego State and Wyoming. 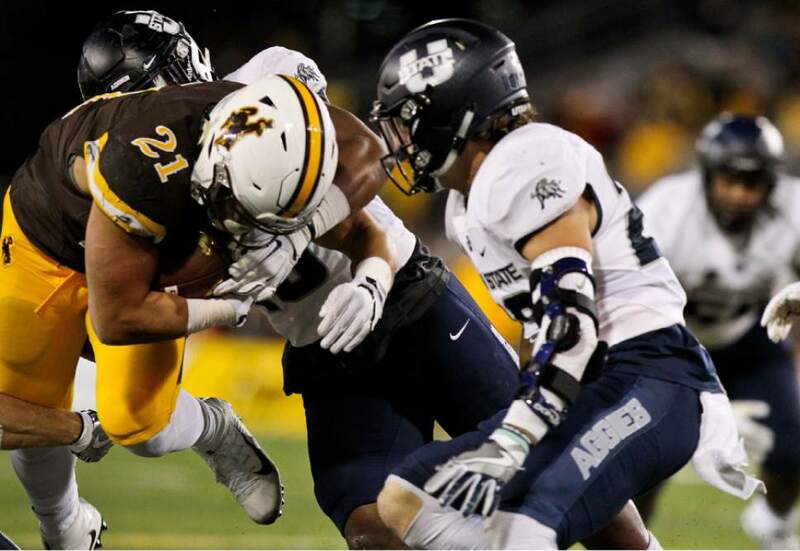 "… New Mexico is a team that can absolutely capitalize on a missed tackle or a missed assignment," Utah State coach Matt Wells said. "You watch them against a lot of teams and they&apos;ll break through and hit home runs. They can score and finish on you in a hurry." Offensively, injuries have impacted the Aggies. 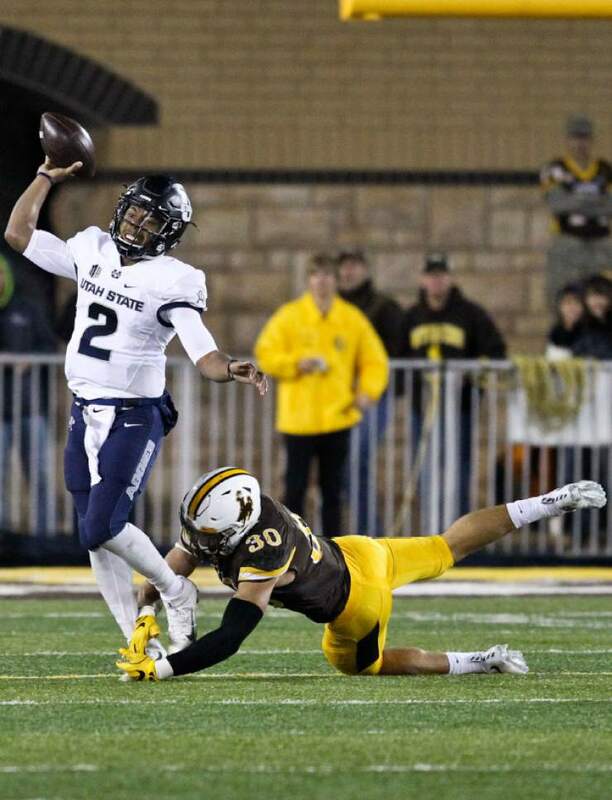 Quarterback Kent Myers was hurt in the third quarter of the Wyoming game and did not return. Early this week, Wells&apos; described Myers&apos; availability as "day-to-day." If Myers can&apos;t play, junior Damion Hobbs will likely start. He replaced Myers for the final four series against the Cowboys. 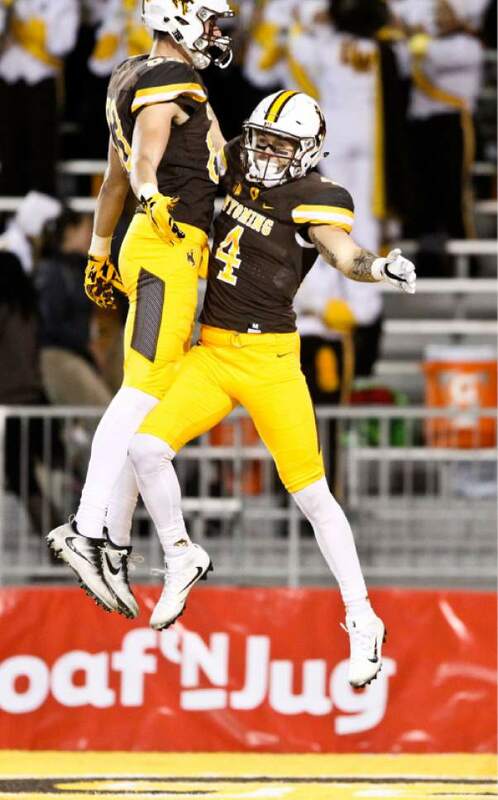 Although he rushed for three touchdowns out of goal-line packages specifically designed for him, Hobbs completed 6 of 17 passes for 68 yards in Laramie. 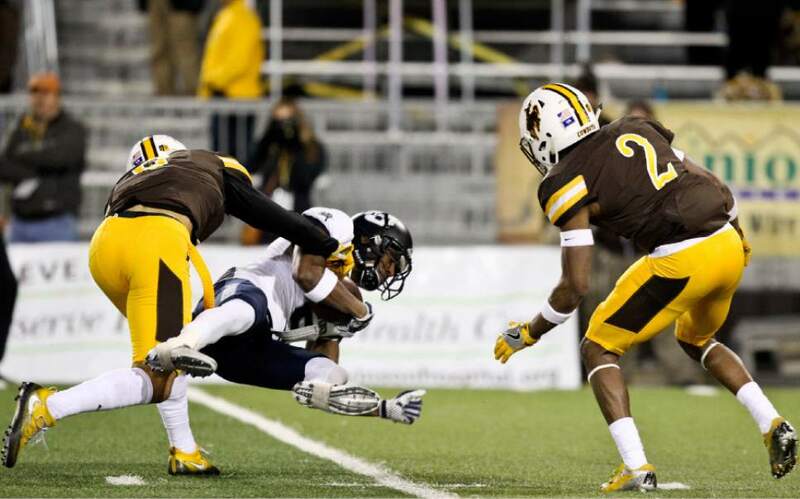 About the Aggies • They come off a 52-28 loss at Wyoming. … They have lost five of their last six games. … They are 26-5 at home, going back to 2011. 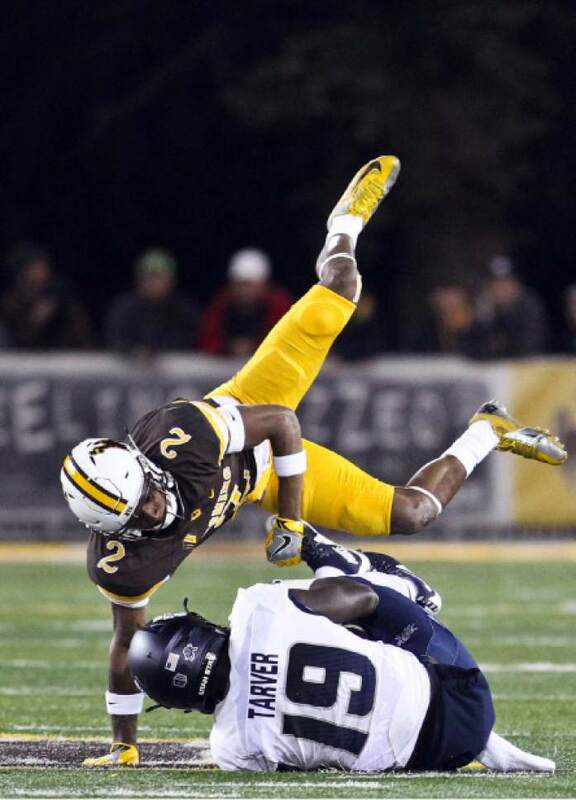 … They rank ninth in the Mountain West Conference in scoring (24.3) and total offense (378.4). … WRs Ron&apos;Quavion Tarver and Rayshad Lewis share the team lead in receptions (36). About the Lobos • They have won four straight games, including last week&apos;s 35-26 victory over Nevada. … They rank first in the conference in scoring (38.1), rushing (358.8) and time of possession (34:47). … Senior LB Dakota Cox is their leading tackler (52) despite missing one game because of injury. He is a former Tribune All-Stater from Juan Diego High School.